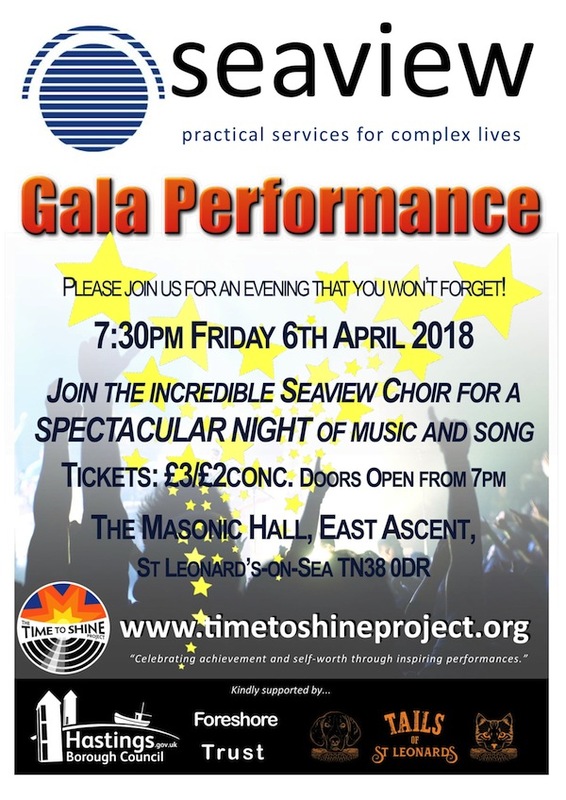 Aware of the transformational power of music, Alison Cooper and Michael Grant from Time To Shine have once again been working with individuals and the choir from The Seaview Project in St Leonards on Sea – and they invite you to attend the finale concert. HOT’s Zelly Restorick asked Alison Cooper about Time To Shine and how music helps people to blossom and evolve. 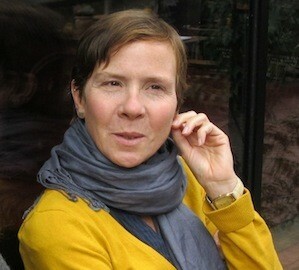 Barbara Crowe, past president of the National Association for Music Therapy. This will be the second year that Time to Shine have collaborated with The Seaview Project, an open access well-being centre, providing a warm welcome, essential and invaluable help, comfort and inspiration to people living on society’s margins. Last year, the finale concert was an overwhelming success, catalysing tears, cheers and standing ovations from a very appreciative audience. This year, Alison and Michael believe the concert will be even better. The concert takes place on 6 April at the Masonic Hall in St Leonards on Sea. Doors open at 7pm. Concert starts at 7.30pm. Tickets are just £3/£2 conc. 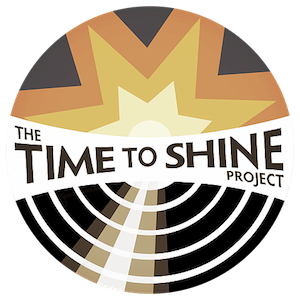 There are limited seats available, so order yours today by emailing thetimetoshineproject@gmail.com or calling Alison on 07486 859026 or via Spectacular Night of Music and Song. We understand about the enormous potential for music to bring people closer, express themselves and grow and we believe that each project should bring together people who have experienced (or are experiencing) similar challenges in a performance where they feel safe, confident and proud of themselves that is unapologetic, celebratory and inspiring. 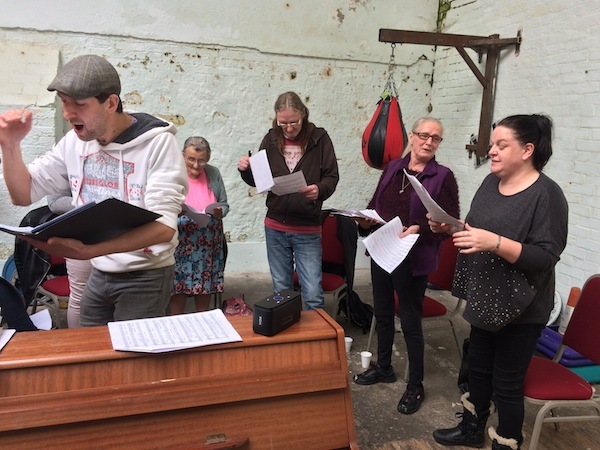 Through weekly small-group rehearsals we help to develop musical and performance skills and self-worth while nurturing a deep-rooted sense in the participants that they are truly not alone. Through music we aim to restore each participants’ faith and respect in themselves; and through this process realise who they can be for themselves and within their community. Well, I have always loved the physicality of music and along with my love of drumming and singing, I just love to dance! I have spent many years dancing Salsa, Jazz, African and Rock n Roll and more recently was part of an established local physical theatre group called Nunah Theatre Company and have performed shows in Coastal Currents and Glastonbury Festival, to name a few. As well as studying mediation, Restorative Justice, counselling & psychology, I have also worked with people with autism, excluded children, victims of crime and currently work with people with substance & alcohol issues. 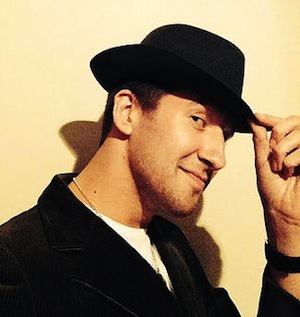 Michael Grant is an international cabaret entertainer, multi-instrumentalist, recording artist, teacher and composer. He has always had an infectious passion for music and is most happy when working to encourage and inspire others in performance; to that end he runs three very successful choirs and also runs a staff choir for the NHS in Kent. After an incredibly successful pilot project and the first Seaview Project finale concert where about 200 people came and witnessed the Seaview participants talent and courage, we suddenly had not 1 but 6 lovely people who were willing (and very able) to become Trustees for T2SP and help us develop and expand! Both Micky & I are still reeling from that generosity and really appreciate the professional and compassionate support they give the project. Since then we have all been building relationships with organisations in the hope to formulate the next exciting project. We are in talks with Optivo (formally known as Amicus Horizon) to create a project with their older residents and are looking to work with ESRA (East Sussex Recovery Alliance) in the future too. Our projects are about building self-esteem and also about bringing groups together who may not normally get along so well. So we have lots of amazing ideas that we would like to ‘grow’. For example, a project bringing together different ethnicities to promote cohesion; police and young people for better understanding of their roles or bringing together parents & teenagers? There is so much scope for having an incredible impact on people’s lives simply by sharing a challenging & fun experience; and thus building trust together. T2SP previous collaboration with the Seaview Project was a huge success. Tell us about how things are going this year. Oh, it just gets better and better! We have built up such a wonderful relationship with Seaview and we really appreciate how much they value T2SP. 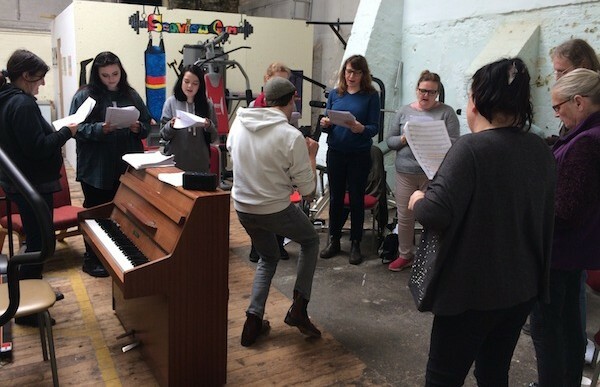 This year’s project was about bringing in new singers and, crucially, to re-engage and develop the previous participants. And so we encouraged them to be supportive mentors for the new participants, making the new ones feel welcome, explaining how it all works and encouraging them to practise and gift them with a steady supply of praise! The mentors have been very professional in setting up the rehearsal room ready for the start of our sessions, making sure there are enough chairs, refreshments and that the heaters are on! This is their responsibility and they have taken the bull by the horns. We started with twelve singers this year and we have had many more requests to sing solos and duets than the first time! I think the confidence and enthusiasm has rubbed off from the mentors! As the project evolves, there is a definite ‘group comradery’ growing. It’s a great feeling to be part of something special and this shows in how much confidence they now have. This year they are also stretching themselves more by learning to harmonise more and do backing vocals for each other. In addition, we hope that some of the mentors will introduce the others onto stage on the night and become ‘ambassadors’ to promote our work! Have you had feedback from last year’s participants as to how the experience affected their lives? We had fantastic feedback from everyone involved. What was especially lovely was to hear that some of the participants had been approached out-and-about in the town by people who had witnessed the event. It really helped those participants’ confidence – so thank you to whoever those well-wishers were! Several of our previous participants were also offered jobs at Seaview after the staff there watched their commitment to the project. That was amazing! Also, generally, a significant improvement through the course in punctuality, in dress and appearance as well as encouraging and helping others as an integrated group; they really took pride in themselves and each other in a way that we didn’t see right at the start of the course. Some of the comments from participants were that they were making more eye contact with people and found it easier to talk publically. Some talked about abstaining from their usual substance misuse behaviour and others talked about much improved mental health. Do you only work with community groups where you need to raise funding or do you work with organisations that could finance the project themselves? We would love to work with more charities/organisations who have the money to use our services but alas it seems that there is less and less money available and unfortunately decision-makers may not see this as essential work. We see things quite differently however, in that, if you can shift people’s own negative mind-set about themselves and how they interact in the world then this work can have life-changing results in all areas of life. Having said that, we are so passionate about offering people this extraordinary experience and the possibilities it can lead to that we will always assist with finding that money through funding. We have also been developing our Corporate Workshops as singing together is a great way of team-building and developing better relations at work. Everyone starts on an equal footing and they need to support and trust each other, so it brings out the humanity in people. It reminds people that we all need the same support and encouragement no matter what our ‘label’ is at work. Recently, Micky has been working with the NHS staff in Kent. He was first asked to do just 10 sessions as a bit of a team-building exercise but just three weeks in they booked him for a further 10 sessions and we’re really hoping it becomes a long-term thing! The corporate work is great because the profits from these projects support our charity work. If you or someone you know is interested in finding out more about how this inspirational project could enhance and improve lives, please get in touch at Time To Shine or call on 07486 859026. « South Coast Sisters launches in Hastings!